The 802.11n is a popular and ubiquitous wireless standard that is used by most wireless devices. Although it is being superseded by the more faster 802.11ac standard, many affordable routers still use the 802.11n protocol. The 802.11n standard can work over both the 2.4 GHz and 5 GHz bands although, most 802.11n devices are restricted to the 2.4 GHz band only. The 2.4 GHz band offers lower bandwidth than what is possible with the 5 GHz but the range is usually greater. Therefore, 802.11n routers offer greater range and bandwidth than what is possible with the earlier 802.11g standard. For this article, several factors were considered for narrowing down the best 802.11n router options available in 2018. While most 802.11n routers are single-band, there are a few dual-band offerings as well so we made sure those were included here. Other selection criteria include the maximum coverage offered, connectivity options, software UI etc. The popularity of these routers with buyers was also taken into account. So, here are the 8 best 802.11n routers available in the market today. The Asus Wireless N300 is a good option if you’re looking for a good budget router. It supports only a single band on the 802.11n standard, which means you get a theoretical peak speed of about 300 Mbps. However, this limitation can be overlooked if your ISP provides a stable connection close to that limit. Theoretically, you should not be facing any issues for VoIP calls, streaming 4K video to a single client, or just for surfing the internet. The ASUS Wireless N300 can also function as a router, access point, or a range extender if needed. The performance and reliability of this router are top-notch and setting it up is very easy. A good aspect is that flashing custom DD-WRT firmware is possible for unlocking additional functionality. However, the stock firmware is more than adequate and the latest version fixes most of the lingering issues. Also, there have been reports that increasing the bandwidth of a particular channel can help if you are experiencing slower speeds than normal. The Linksys E1200 is one of the best budget routers one can find under $50 that offers speeds up to 300 Mbps. The design is very minimalist with no external antennas or USB ports. However, you do get 4 10/100 Ethernet ports for hooking up any wired devices. Of course, you also won’t be finding any advanced QoS features or built-in firewalls in this price but you do get parental controls and Cisco’s web interface that is easy to set up and configure. Since the router has internal antennas, the coverage is not out of this world but should suit most mid-sized apartments or homes. Although this budget router comes with some sort of QoS scheduling you’d do better to disable it on first boot for best results. Another sore point is that you need to use the bundled CD to set up the router at first so better download the software beforehand and keep it handy if your PC does not come with a CD drive. If all you need is a basic router that has good performance and speeds, the TP-Link WR940N is one of the best wireless routers you can get under $50. The WR940N is easy to set up and the included software can automatically detect most common network settings thus, minimizing the hassle of dialing your ISP for knowing them. The two antennas are powerful enough to provide enough coverage for a small apartment. While the TP-Link WR940N offers an easy wizard-based software setup, manually configuring the settings can get a bit cumbersome for some. A neat feature is that you can also use this router as a range extender and simply copy over the SSID and the password of the network you want to extend. Overall, a great buy if your internet needs are basic. The Securifi Almond might not be the first name that comes to mind while shopping for a good 802.11n router but it is one of the best Wi-Fi routers available for long-range use as long as your speed expectations are kept in check. One of the most striking features of the Securifi Almond is that it sports a touchscreen that alleviates the need to log in to the web interface to make any changes. You can also use the Almond as a universal range extender that is compatible with most routers in the market. Support for Amazon Alexa means that you can also control smart devices connected to this router with just voice commands. The Almond is just a single-band router but has good speeds up to 750 Mbps. Therefore, as long as they’re not too many devices fighting up for bandwidth, you would do just fine. The Almond can also be configured to connect your home security or automation system get notifications straight to your smartphone. Unlike some of the other big players, Securifi’s tech support is indeed praiseworthy. However, since the Almond does not support beamforming, ensure that the router is placed in an appropriate location to ensure optimal coverage. The NETGEAR WNDR4500 offers great speeds up to 900 Mbps across both the 2.4 and 5 GHz bands. The router offers improved range and is built for file sharing. It is also compatible with Apple Time Machine for automatic backups to a network storage device. The simultaneous dual-band setup helps reduce interference and the advanced QoS features enable allocation of bandwidth as desired to each client. With a range of almost 150 ft, WNDR4500 offers great coverage. There are no additional features such as beamforming or beam steering in this router. That is understandable given the price range. However, there have been some issues with respect to the firmware so make sure you update it to the latest version as soon as you install it. NETGEAR’s warranty policies might catch you off-guard as well so better check those as well. The Belkin N600 offers a total throughput of 600 Mbps — 300 Mbps on the 2.4 GHz band and 300 Mbps on the 5 GHz band. This means multiple devices can connect to the router simultaneously without any issues. The router bundles an intuitive user interface and has parental control features powered by Norton to filter unwanted content on the network. The router does not feature external antennas but the range is comparable to any other router in its class and should be sufficient for a small to mid-sized home. Additionally, the Belkin N600 also comes with the myTwonky media server to share photos and videos across the network. The overall performance of the router has been very good but some users have reported problems in attaining speeds greater than 80 Mbps. There is no singular reason for this and this needs to be sorted with the service provider as well. That said, the Belkin N600 is one of the better value for money offerings you can get in this segment. The ASUS RT-N66W is a very capable dual-band router that offers good speeds and coverage. 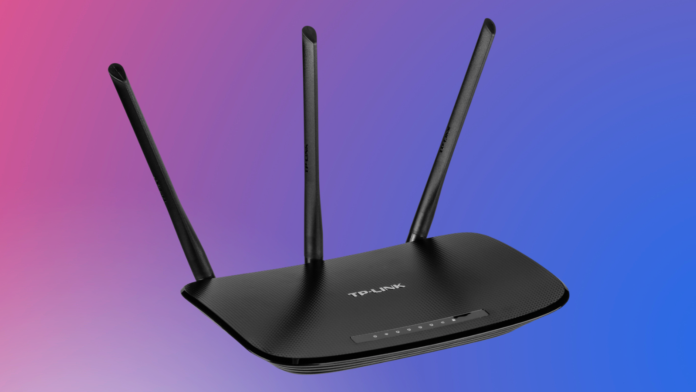 The router supports 802.11n over both the 2.4 GHz and 5 GHz bands making it a great option for those looking to connect multiple devices at once. The maximum throughput of about 900 Mbps also helps in providing enough bandwidth for moderate to heavy use. The 3 antennas have enough power to provide decent coverage without dead spots and the included 2 USB ports allow file sharing across the network when connected to a storage device. Setup is taken care of by the ASUSWRT software, which is feature-rich and offers 1-click updates. The RT-N66W is known for its reliability and strong performance. Therefore, there aren’t many teething problems with this device. That said, updating the firmware as soon as you finish installing the router is a good idea. The Netgear N300 Wi-Fi Router is a good choice if your networking needs are minimal. You get up to 300 Mbps of maximum theoretical speed over the 802.11n 2.4 GHz band so any connection speeds up to 100 Mbps should have no problem with this router. The N300 is equipped with dual 5 dBi antennas, which provide enough power for a small to medium-sized home. The design of the router is very minimalistic so it finds use even in an office setup. There are no USB ports on this router but you get 4 Ethernet ports that should be useful for wired connections as well. Performance of the NETGEAR N300 is on par with the asking price. However, some users have reported dropped connections and loss of signal if moved a bit away from the router due to a possible firmware issue. Also, there are issues in properly configuring parental controls, guest Wi-Fi, and scheduling. Thankfully, most of them can be easily resolved with a firmware update or by unchecking the ‘Enable WMM’ setting in the QoS setup page. We will continue to cover a great deal of information about routers at various price points and features. We hope this article has been informative if you’re on the lookout for a capable 802.11n router. This list includes mostly single-band routers and a few dual-band ones that support the 802.11n standard. However, if you are a bit flexible with your budget, we recommend you to try the best routers under $50 and best routers under $100 for some capable dual-band alternatives as well. If you’d like to explore other categories, check out some other articles in this series below. Dear readers, that would be it for our comparison of the best 802.11n routers to consider buying in 2018. If you have questions, feel free to let us know in the comments below. We will do our best to provide a timely response.